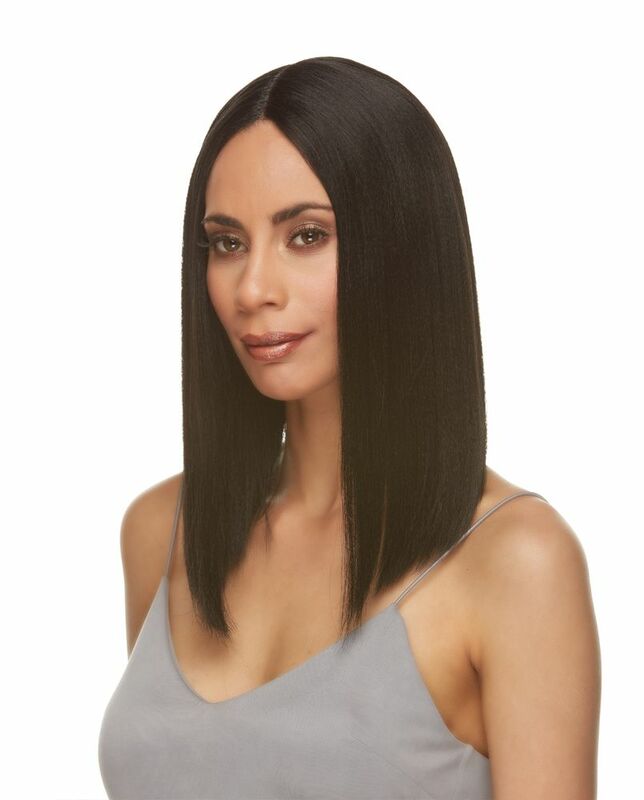 Silky smooth and straight shoulder length slightly angled cut lace front wig with center part in styling and heat resistant synthetic hair. Premium quality adult size wig with natural center part. Model is wearing this wig in natural black 1B.